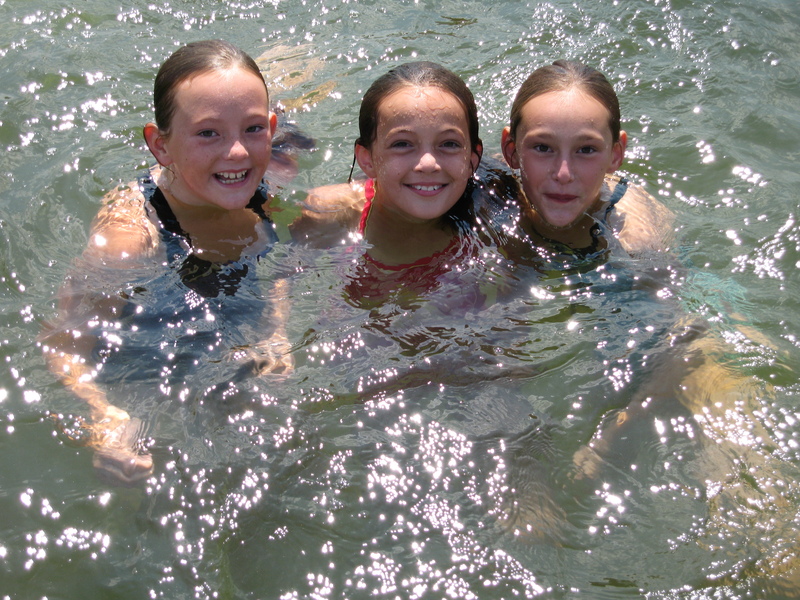 Winding Trails Summer Day Camp emphasizes the importance for all campers to learn to swim.We provide American Red Cross certified swim instruction as well as a positive environment for your children to build their aquatic confidence. Our well-trained waterfront staff of swim instructors, teach children the skills they need to learn to swim and become stronger, more confident swimmers whatever their level. They also oversee the fun at Free Swim. For lessons, campers are grouped by ability. All campers’ swimming ability will be assessed at the start of their session. After placing children in their appropriate swim groups, All swim lessons and free swims are held at 80-acre spring fed Dunning Lake. Progress sheets will be sent home with campers at the end of their session. If you are interested in receiving more detailed information about your child’s progress at any time, we strongly encourage you to call to speak with our Waterfront Coordinator. For Free Swim, campers also enjoy a daily free swim. The buddy system is in effect during this period and buddy checks are conducted every ten minutes. Our camper to counselor ratio at the waterfront is 5 to 1. Beautiful 80-acre Dunning Lake is the picture perfect setting for a nice leisurely sail in one of our Sunfish sailboats. This program is limited to campers entering grades 6 to 8 who have passed level 4 in swimming. Instructors are available to provide assistance and instruction as needed during this hour and a half sailing option. There is an additional fee of $75.00 per session for this program. Space is limited.